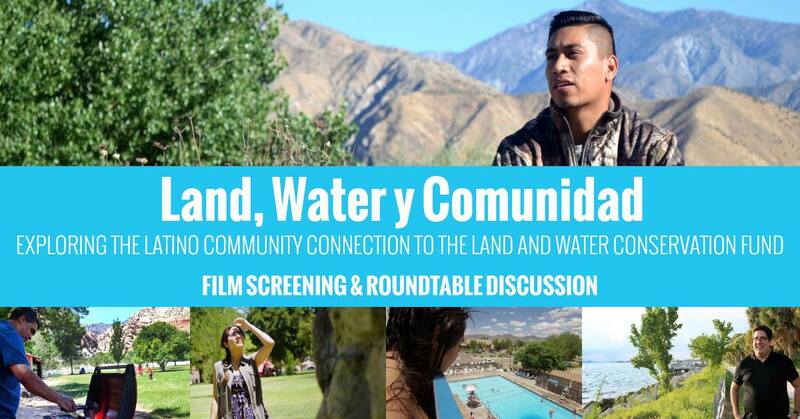 “Land, Water y Comunidad,” explores the relationship Latinos across the nation have with Land, Water and Conservation Fund (LWCF) sites, what it means to them, how they enjoy them and the impact it would have if these lands were not available. The screening will be followed by a roundtable discussion that will feature both national and community experts. The federal Land and Water Conservation Fund has supported more than 41,000 parks and projects and has also been critical in ensuring that underserved and urban communities have places to connect with nature, spend time with family, enjoy outdoor recreation and/or explore their cultural heritage. However, LWCF is set to expire this September, unless Congress agrees to reauthorize it. To learn more about LWCF visit https://www.nps.gov/subjects/lwcf/index.htm. The nonprofit Hispanic Access Foundation (HAF), works to improve the lives of Hispanics across the country. They accomplish this through civic engagement by educating, motivating and helping members of the Hispanic community access trustworthy support systems. HAF also designs and implements data-driven initiatives that combine the strength of grassroots outreach efforts with new and traditional media to transform information into action. HAF does all of this while building bridges that connect members of Latino communities with both the information and services they need for a better life. To learn more about HAF visit https://hispanicaccess.org/who-we-are. The Mojave Desert Land Trust has conserved more than 70,000 acres of prime desert habitat, weaving together National Parks, wilderness areas, and wildlife linkage corridors. The organization works closely with a broad range of desert community members and visitors, as well as with local, state, and federal agencies. To learn more visit https://www.mdlt.org/about/.